Front View from MLK St.
Every princess needs a castle and industrialist J. W. Mann built this one for his bride. The original structure was built in 1872 and added onto in 1880 and 1884. Named for its terraces down to the Brazos River, this house is an excellent example of Italianate Villa architecture found on the Hudson River. 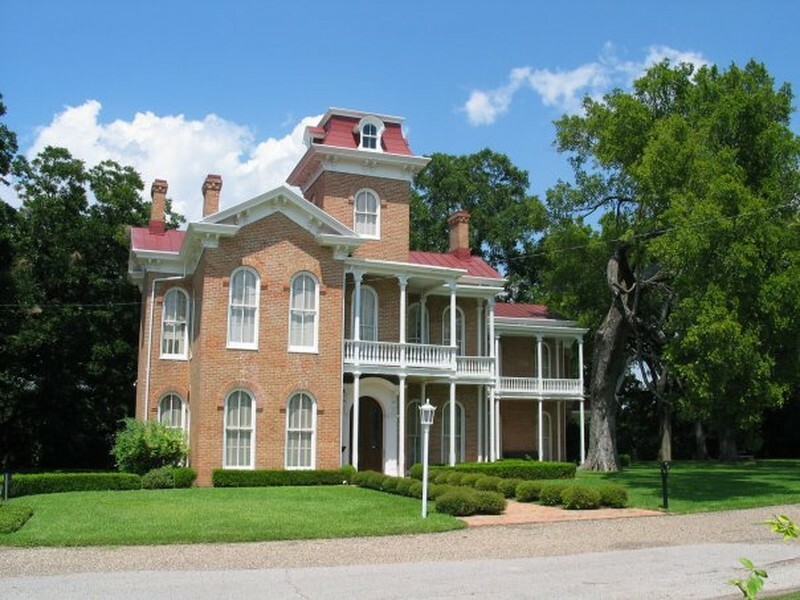 This is one of Waco's premier historic homes and is furnished in fine Victorian antiques. One of four Historic Waco Foundation historic homes. Jan-June Sundays 2-5. July-Dec Saturdays 2-5. Additional weekday hours July-Sept 11am-3pm.